[28:02-29:08] This is the Lab’s internal name for allowing scripts to be tied to the VR controller triggers, so it will be possible to shoot weapons, etc., using the trigger buttons. Alongside of this will be a new option to have “mouselook” in Desktop mode. This means that the current right-click and drag to move the camera around will become a toggle on / off option, and when off, the camera viewing angle can be changed just by moving the mouse around. [29:20-30:40] Emotes will gain a new UI. This will display all the available emote, allowing them to be selected without having to type the emote command in chat (e.g. “/sit”). The menu will be available from the Socialise button / menu, and in Desktop mode by using CTRL-E, or in VR from the wrist control. Also, moving your arms in VR mode will no longer cancel the emote playback (so someone in VR will be able to use the “/sit” emote, but still be able to articulate their avatar’s arms without cancelling the sit). [30:57-34:19] Sit Points will operate in a similar way to grab point on objects – but will allow avatars to use a basic sit pose on chairs, etc. Animations for Sit point will not initially be supported. Sit Points with the release will only work on static objects. The ability to add Sit Points to either dynamic or keyframed objects will hopefully be delivered during one of the Q1 2019 releases. It is believed that for VR users, as with emote animations, upper body movement will not break the sit pose. [35:03-37:35] The December release will all allow the use of “script assemblies”. This essentially allows collections of C# scripts that have common elements (static variables, common code, etc), to be grouped together within a JSON wrapper, thus reducing their overall memory footprint (they only need to be called once for all instances of a scene, rather than multiple times). Script assemblies also means that the supplied Simple Scripts (Simple Mover, Simple light, etc. ), will be grouped together as a single object, which can be used multiple times within a scene, with the desired script function simply being selected and applied. This again improves the memory footprint of the scripts, and also reduces they overall inventory footprint (no need to store 100s of scripts, just a single object). [37:44-39:35] Also with the next release, dragging and dropping a script into an object already containing a script will not see the former replace the latter, but will simply add the script to the object, avoiding the need to manually edit objects to add a script to them. However, as currently proposed, this change in functionality will not allows scripts in an object to be updated simply by dragging and dropping a script with the same name as one already in the object (and replacing it), as can be done at present. [40:08-40:30] R28 will include the ability for a user to cancel the loading of an experience (e.g. if they select the wrong one from the Atlas, or if the load time is excessively long), rather than having to wait for the experience to load / time-out. [8:40-9:10] Avatar / Avatar Skeleton: while it is anticipated the avatar / avatar skeleton will be enhanced, there are no immediate plans to do so. [12:25-13:05] Comedy Gladiators – a new “live” Sansar series: a series hosted by comedian Steven Hofstetter, and which will début on December 10th. 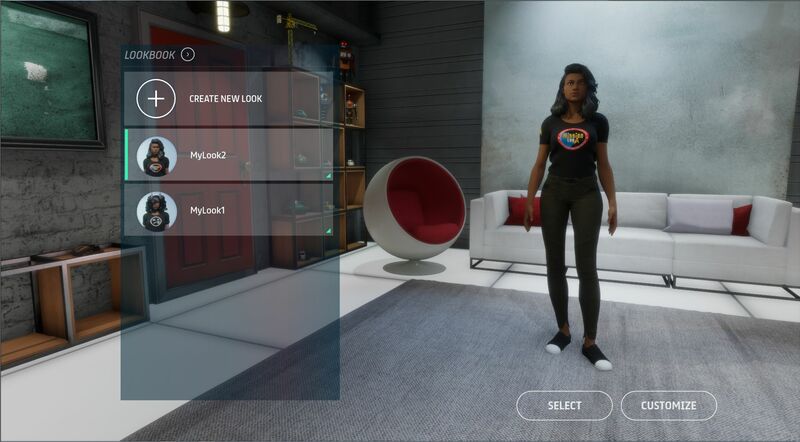 You can read more in my post:US comedians in line-up for new Sansar series. [19:37-22:15] Gizmo Issues: some are still finding it hard to locate the Gizmo tool when trying to move / rotated very large objects due to the transparency set on the Gizmo, and trying to lock the camera on the object doesn’t help, simply because of its size. One suggestion is to break up large objects into smaller units. This will also help with rendering, as very large objects can be held by the renderer, simply because they are never fully out of the field of view, so breaking them into smaller units means only the unit in the current field of view is rendered, rather than the entire object. [45:25-46:09] Store Updates / Redeliveries: the ability to update an item on the store with a newer version and have it delivered to customers has been a long-standing request (currently scripts can be updated). It is something the Lab plan to provide, but it isn’t as yet on the “immediate” roadmap, but the hope is to have it some time in 2019.